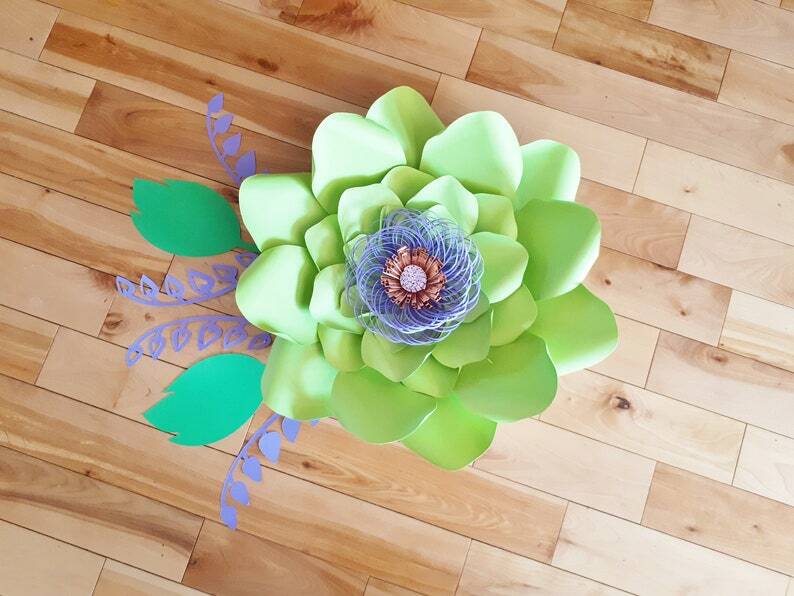 Offering a Large Paper Flower Blooming Peony custom made to order. Peony is approx, 20 inches and made in light green with a purple and rose gold centre. Leaves and foliage are in dark green and purple and are optional. 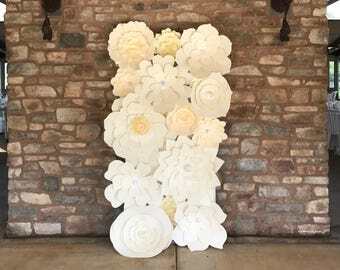 These Large Paper Flowers lay flat and can be added to your head table, backdrops, centrepieces, or any other creative way you desire for you wedding, event or home decor.